﻿This is a hamlet that retains the Basque popular style. Its rear, designed to livestock stable has been totally transformed in order to build the different rooms that make up the cottage GAUBEKA. 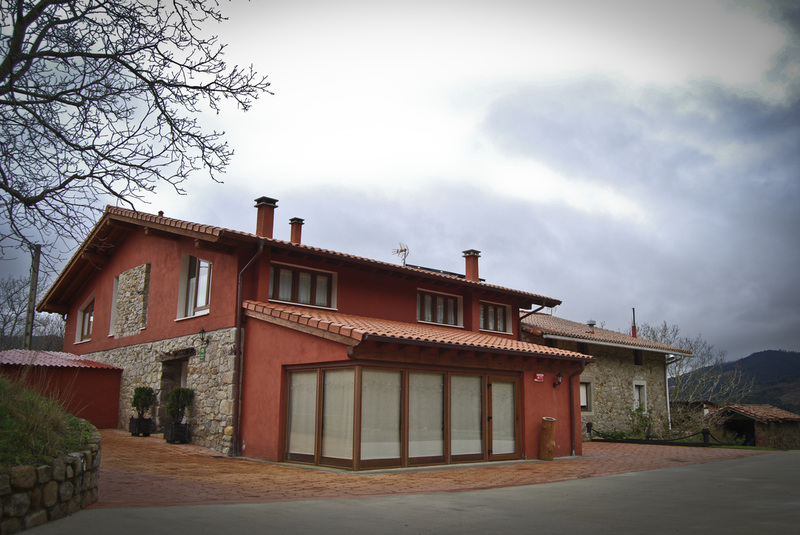 Current residents base its offer on the close and personal treatment that characterizes the traditional Basque farmer behaviour. During their stay, visitors will be able to enjoy in the calm of the rural world. Silence, only interrupted by the noise of the environment of a farming area. If they wish to connect with more hustle and bustle, the urban area of Bakio offers its range of bars and restaurants. The beach, longest in Bizkaia, will offer you the possibility of sunbathing or practicing different modalities of surf. Bakio has also possibilities of enjoying the mountain, hiking, mountain biking or other modalities. Parsley is the emblem of the house. 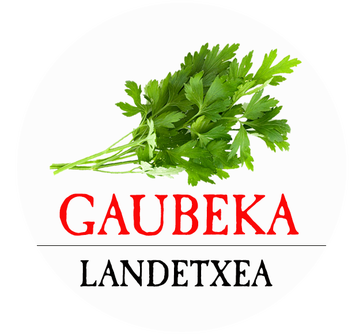 Many years before Carlos Arguiñano popularised this plant, "parsley" was the nickname by which the lineage of the hamlet became known. Dynamic and popular men, hardworking women and transmitters of an ancient culture that includes the Basque language. Their enormous fondness for stone dragging by oxen tests should be considered. The father of the current family was one of the last to preserve a pair of oxen which combined the work of field and drag of stone in the amateur competitions, as an example of the linking the daily work and competition, as in other sports, such as the regatta, lifting of stones or cutting of trunks.